HP just announced the release of their new Envy 13. The laptop can be purchased at HP.com, with prices starting at $1044.99. HP, in a press release yesterday, announced the launch of their new Envy 13 laptop. The new entry, said to reinvent “performance and productivity on-the-go” was released at the Cannes Film Festival. Not a lot of information was provided in the press release, but the laptop has been confirmed to come with the latest Core i3, i5, and i7 processors, with support for up to 16GB of RAM. The Envy 13 has an edge-to-edge scratch-resistant glass display and a lifted hinge that supposedly facilitates a more natural typing position. The new Envy 13 will also come equipped with a fingerprint reader and Windows Hello for security, UHD display, quad speakers and a HD WDR camera. There is also an option for a dedicated graphic card. It will go on sale at HP.com, with a price tag starting at $1044.99. Pretty decent one for a beautiful laptop that doesn't really fall short in the specifications department. Cannes, FRANCE, May 22, 2017 – In HP Inc.’s 14th year at the Cannes Film Festival, the company is not resting on its 75-year legacy of filmmaking innovation, debuting devices that reinvent the way people design, collaborate and create. 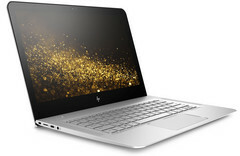 From the company creating award-winning workstations and displays powering the film industry, HP’s new premium portfolio of Spectre x2, ENVY x360 and ENVY laptops deliver the performance, design and innovation that empower today’s generation of digital creators to inspire the world like never before. Every aspect of the company’s Spectre and ENVY PCs were designed to push creative boundaries and unlock new opportunities, reinforcing HP’s place at the forefront of reinvention. Bold engineering and cutting-edge design decisions will delight a generation eager to use technology as a canvas for self-expression. The Spectre x2, HP’s first luxury detachable designed for Windows Ink1, delivers it all, including a precise pen experience that was curated by the artist community and is sure to stun digital creators. The new ENVY x360 and ENVY laptops bring extraordinary performance in every millimeter, empowering users to change how they work, create and play without compromising style or function. Bright, strong display: A brilliant 12.3” diagonal 3K2K (3000x2000) display12 with 6 million pixels, bringing HD entertainment to the next level and providing a wider range of ambient light options, giving photographers or graphic artists better screen readability and visibility. The HP ENVY x 360 15.6” diagonal convertible is redesigned to pack the technology and versatility needed to be a laptop or a tablet in any environment. Convertible design with an edge: A micro-edge display, unibody aluminum chassis and fluid geared hinge provide quality and durability in any mode or any color – offered with Dark Ash Silver and Natural Silver. Display ready for inking or streaming: Windows Ink Certification1 with a high precision N-tig stylus makes it easy for any user to take notes and mark up documents seamlessly like a pen on paper while the UHD IPS display option gives more than 8 million pixels for watching videos or detailed editing. Push the limits of productivity: Bringing proven performance and choice means prosumers can easily multitask with the latest Intel® Core™-i5 and Intel® Core™-i7 and AMD A9, A12 and FX processors7,8 while the ability to configure with up to 16GB of DDR4 memory, elegantly run endless applications simultaneously. 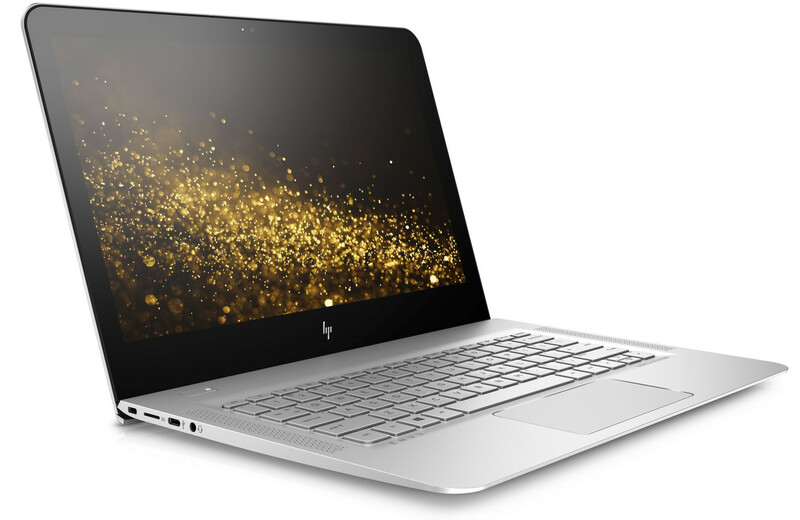 For more information on the HP Spectre x2, HP ENVY x360 or ENVY Laptops, along with datasheets and images, visit the Online Press Kit. For more information about other HP news at Cannes Film Festival, visit here. Check with your local Best Buy retailer for pricing and availability on select Spectre and ENVY products from HP. Not all features are available in all editions or versions of Windows. Systems may require upgraded and/or separately purchased hardware, drivers, software or BIOS update to take full advantage of Windows functionality. Windows 10 is automatically updated, which is always enabled. ISP fees may apply and additional requirements may apply over time for updates. See http://www.microsoft.com. Some features including inking require more advanced hardware. See www.windows.com. Apps sold separately. 3K2K (3000x2000) content required to view 3K2K (3000x2000) images. Recharges your battery up to 50% within 30 minutes when the system is off (using “shut down” command). Recommended for use with the HP adapter provided with the notebook, not recommended with a smaller capacity battery charger. After charging has reached 50% capacity, charging speed will return to normal speed. Charging time may vary +/-10% due to System tolerance. Available on select HP Spectre x360 and HP x2 PC models. See http://store.hp.com for a full list of product features.